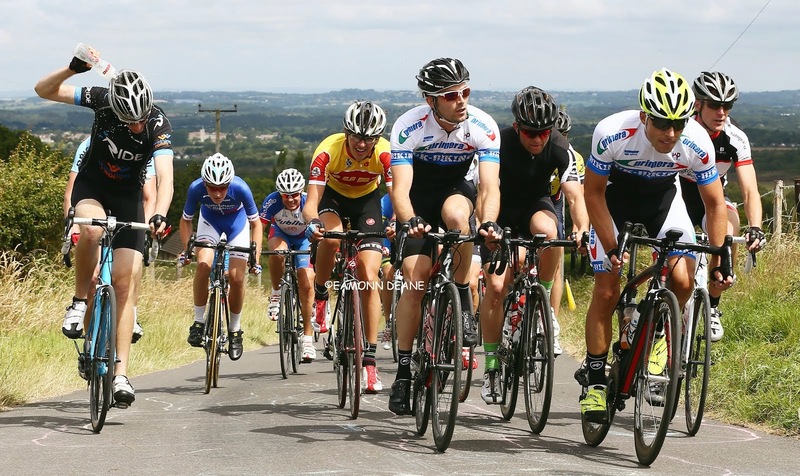 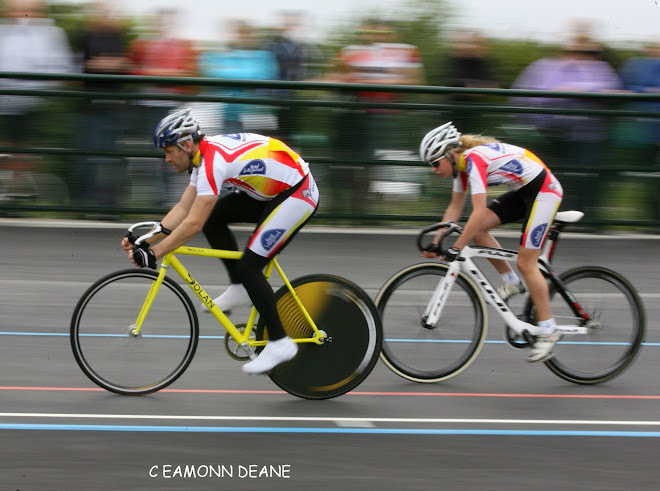 Local Riders,Local Races: Horton Wins Moreton Finale,Thompson Claims Overall! Horton Wins Moreton Finale,Thompson Claims Overall! 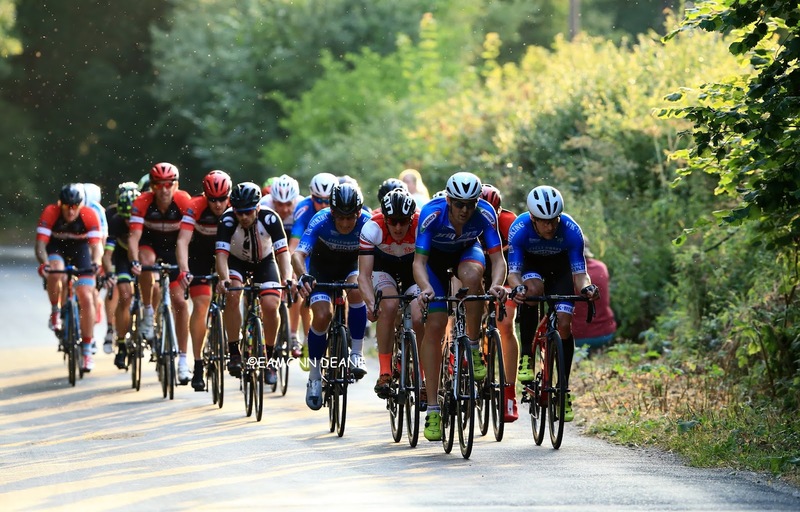 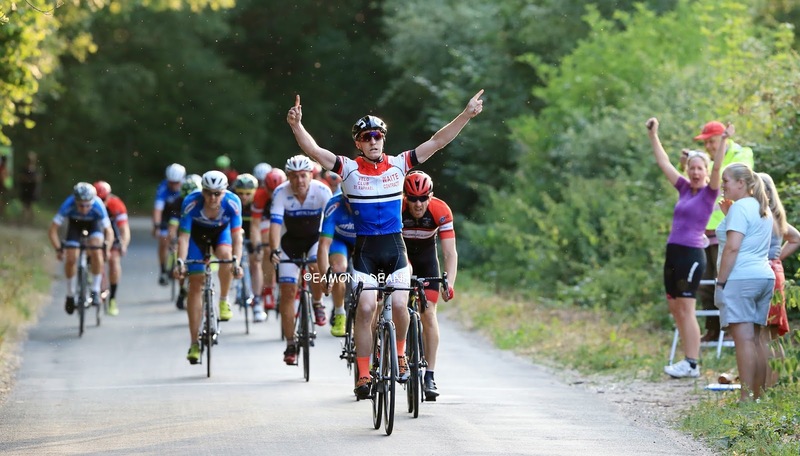 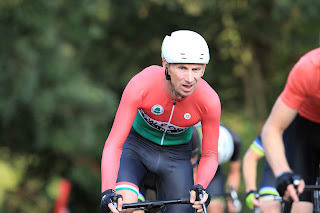 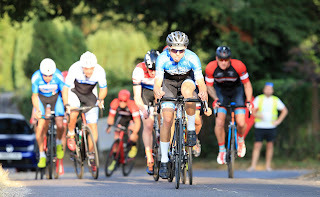 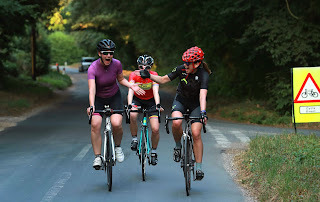 James Horton (VC ST Raphael) won the final round of the Bournemouth Cycleworks Moreton Series, taking the bunch gallop on a warm, pollen-filled evening in deepest Dorset. Horton's irresistible sprint was too much for Phil Cole (Mud Sweat n' Gears) and the irrepressible Julian Lockwood (Primera-Teamjobs) but it was Lyndon Thompson (New Forest CC) who took the series honours. Thompson could not win an individual round two 2nd places, his best result but his consistency over twelve weeks, 13th place on the final night his lowest placing, saw him a deserving winner of the series. Horton's partner, Emma Needham (CC Weymouth) made it a double celebration, winning the women's race ahead of Lora White (Hub CC) and Niamh Houghton (Poole Wheelers). 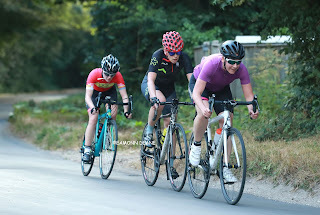 Needham has applied herself well over the last two seasons, the win hard earned. White comfortably won the Women's series, whilst 16 year old Houghton has enjoyed her foray into road racing, visibly growing in confidence. 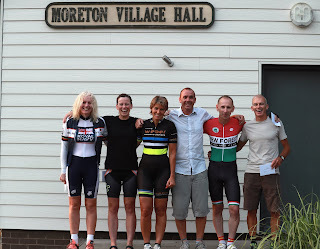 The prize presentations on the green outside the village hall afterwards was good fun, the tea & cakes welcome, cash prizes courtesy of Bournemouth Cycleworks, there is a "community spirit" around the race but this 2018 series may be the last. 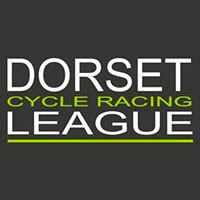 Declining entries have made organisers Richard Lang & Steve Dring non-committal when asked about next season, the race needs riders but do the riders need the race?